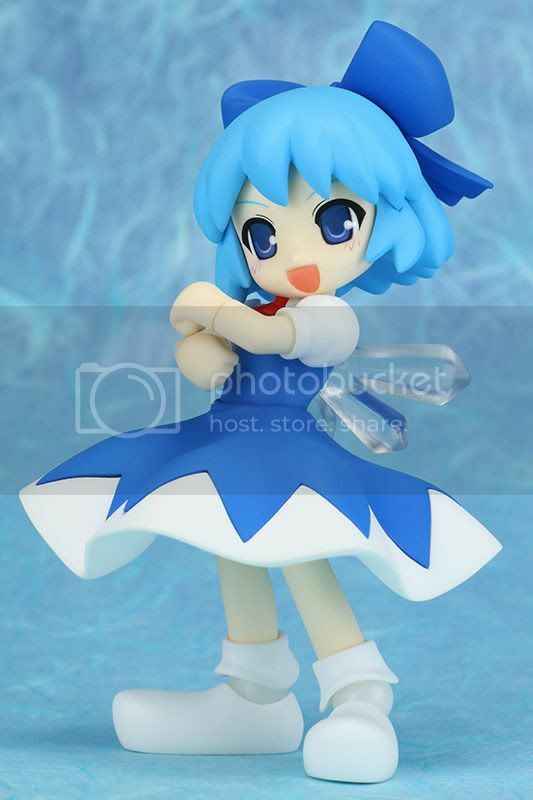 Liquidstone is going to release the Cirno action figure from the doujin danmaku shooting game series Touhou Project published by Team Shanghai Alice. 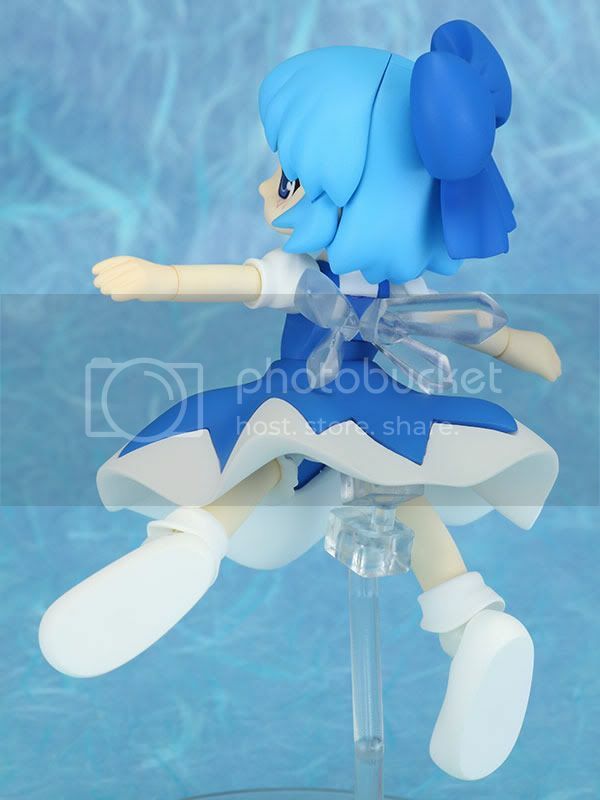 This figure is approximately 100mm in height and will be released in April 2011 around 3,980 yen. 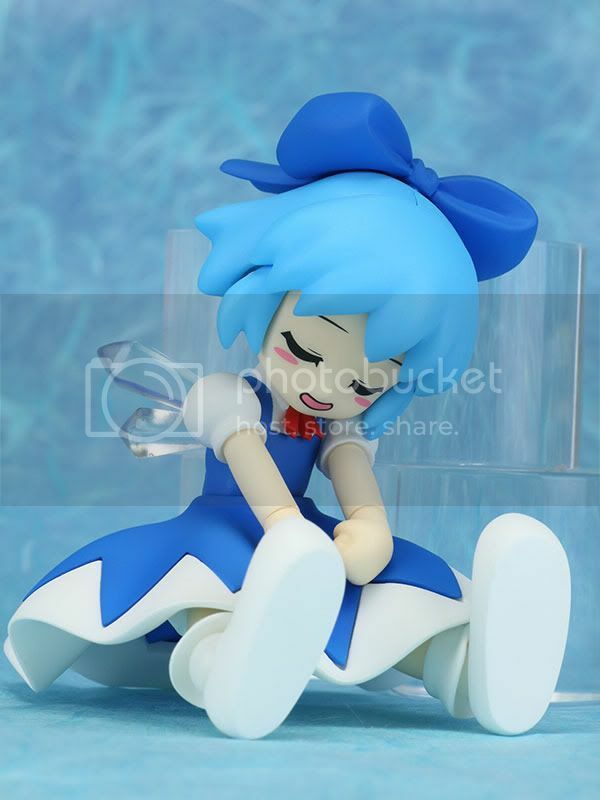 A perfect score in Cuteness! 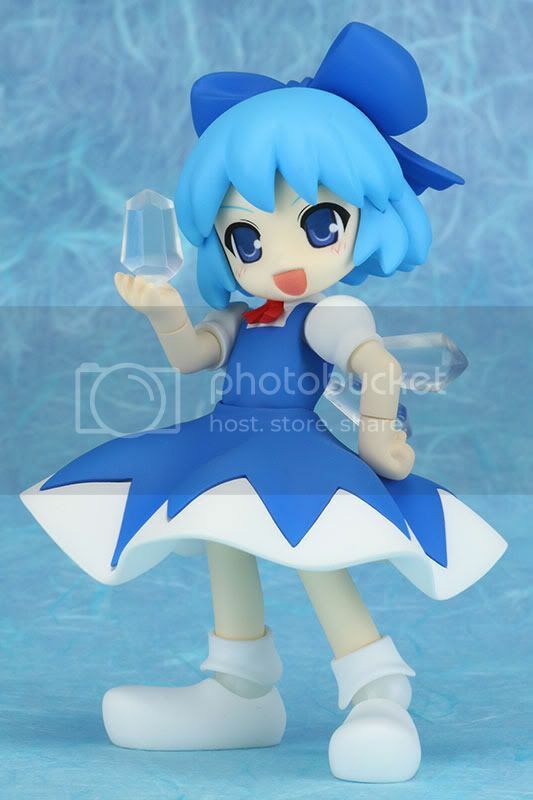 The seventh release in the 2.5 head-body SD Mameshiki series is a great new PVC action figure of the Ice Fairy of the Lake herself - Cirno! 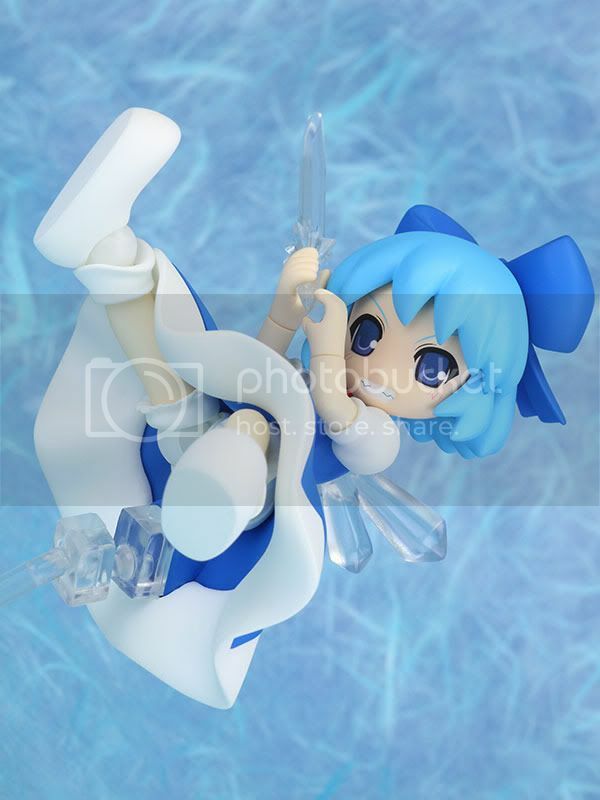 Her Icicle Sword, Ice and wings are all made of clear parts and she includes a number of option parts, as well! 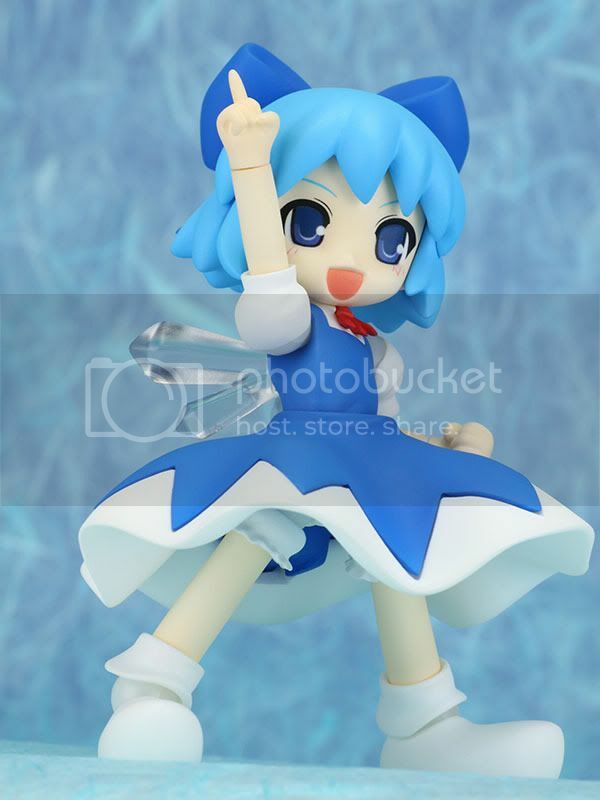 The Mameshiki series is a line of fun, poseable PVC figures that lets you enjoy your favorite Touhou characters in whatever pose you like!